Since the beginning of the year I've been getting questions about the market through email and social media. ... and to be honest I've had the same question too. We've had the worst start to the year ever, and things are still looking really sketchy. Earnings reports are obliterating stocks, Chinese currency risk is still out there, and the Fed is being stubborn about how fast it wants to raise rates. 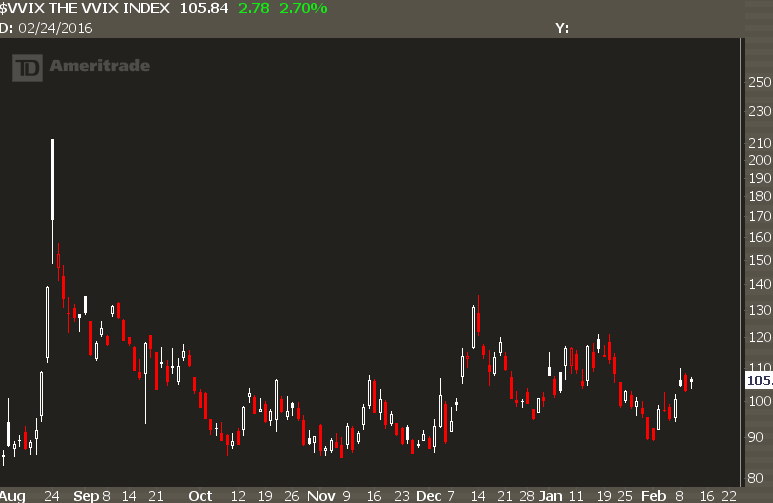 After all, we've broken below the August crash lows but the VIX hasn't managed to hold above 30 for any amount of time. Is this the options market full of "smart money" traders looking for a bounce, or is it extreme complacency in front of the coming abyss? I've got 4 reasons that explains how the VIX isn't moving as much as we thought. Once possibility here is that anyone who needed to hedge already did back in August of last year. After all, we did see massive movement that indicates a bunch of investors were buying puts to protect themselves. If they still have that protection on, they don't need to re-buy their protection, which helps to keep a lid on further upside VIX movement. The same kind of dynamic occurs with investors who have already sold their stocks. If you're in cash, then you don't really have to worry about buying protection, do you? We see this often in market pullbacks... where the S&P 500 will make a lower low but the VIX won't because those that needed to hedge... hedged. This reason is a little weak because of how much time has passed between the August crash and today. If you bought 3 month hedges, then 3 months has already passed and you already need to hedge. We're still lower than what we saw back in August 2015, but not that far away. In fact, there has been plenty of demand in VIX futures compared to the actual VIX itself. This represents a pretty big shift in how investors buy protection. A few years ago, your best bet would be to buy puts, but in doing so you have other risks involved... time decay the most obvious. Many institutional players have moved onto the VIX futures market, which doesn't exactly track the spot VIX. So it's possible that the fear is there, but is being shown in other trading instruments... more on that in a second. One interesting shift in the market has been the volatility futures market when we look at different durations. I don't want to bog you down in the complexities, but basically a "normal" market is when the VIX futures contract that's closer to expiration has a lower value than longer dated VIX futures. This chart from VIXCentral.com shows the relationship between the near term VIX future and the next term VIX future. Above the red line is contango, and below is backwardation. Most of the time we are above the red line. When we see the volatility markets shift below the red line, it's usually during a very turbulent time in the markets and often indicates a bounce is near. But something has shifted, and the fear of near term downside has persisted all year. It truly is an extraordinary occurrence. 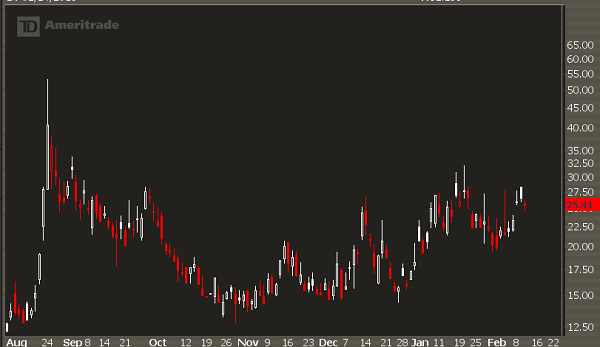 This is one of those where looking only at the VIX doesn't give you the whole picture. The fear has been there, just not in ways that you think. I have a pet theory on this one, and I'm not sure I can fully prove it but it feels about right. My guess: investors are burned out on trading volatility. Think about it, there have been a few times of panic in the markets over the past few years. And if you used VIX options or VIX futures in reaction to that panic, you've looked stupid. That move we saw in August was even higher than what we saw back in 2008. In response to this, I believe that investors moved back to more traditional "risk off" instruments. At the time of this writing, the Yen/Gold/Treasuries risk off trade has seen a massive rally. If you've been leveraged long FANG stocks, you've probably been smoked and aren't looking forward to the rest of the year. Same goes to players that have a longer term horizon. But this increase in volatility is very profitable for option traders. It means there are higher option premiums, not only on an absolute basis but also with further out of the money options. Given the right strategies and setups, you can see fast profits in the market... both to the short side and long side. If you'd like to get my views on the market on a daily basis, as well as receive option trading alerts, then I encourage you to join my trading service. You can get a two week trial for only $14.